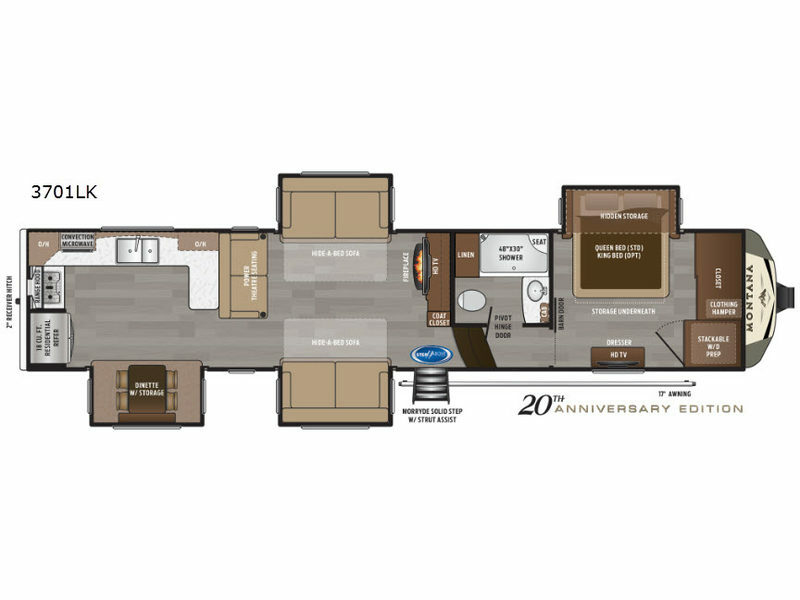 Just imagine you and your spouse and maybe your children camping at a state park or local RV spot in this Montana fifth wheel. 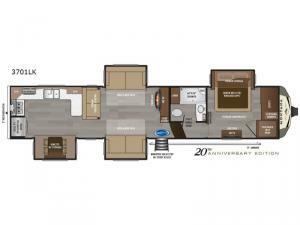 Everyone will enjoy the floor space throughout provided by four slide outs. The rear kitchen layout offers plenty of counter space and all the appliances necessary to make meals the whole trip including an 18 cu. ft. residential refrigerator and convection microwave. Now imagine yourself relaxing on one of the two opposing hide-a-bed sofas after hiking, biking, or fishing earlier that day. There is a HDTV, a fireplace, and theater seats with power recliners as well. It's time to stop dreaming about your next get-a-way trip, and start living it.